One of the best and most important pieces of advise we can give you in maintaining your RV is to clean and inspect your roof! It doesn’t matter the type of roof they all need to be cleaned, inspected and maintain. We recommend that you do this a minimum of twice a year for a few reasons. One being it is a perfect opportunity to inspect your roof. It is very important that you regularly check the condition of the roof and it’s components to make sure there are no tears, holes or cracks in the roof, or any missing/damaged vents lids or caps. 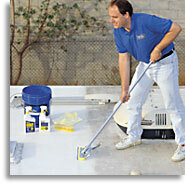 This will help prevent your roof from damaging leaks. Most RV’ers end up, at some point, under trees while camping. Tree sap and leaves should not to be left on your roof for long period of time they not only cause quite a mess on roof they can cause damaging mould. It is always our advise to not get onto your roof rather use a good ladder and inspect and clean your roof from the sides. 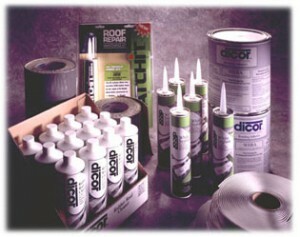 How to maintain a roof is one of the most asked questions at our shop. There are several different types of roofs but the most popular right now is EPDM/TPO and fiberglass roofs. EPDM/TPO roofs are often called by a more generic name “rubber roof”. Rubber roofs are a very thin membrane that is glued to the plywood under your roof. They are very easily damaged by not using the correct products on them. Regardless of where you buy your cleaning, treatment and caulking from always make sure the product specifically says on it that it can be used on a EPDM/TPO roofs. Never use household cleaners , abrasive cleaners or any product that contains petroleum distillates and never use scented cleaners unless approved for EPDM/TPO roofs. They are very damaging to your roof and will shorten their life. Although most EPDM rubber roofs come with a warranty, you can dramatically increase the life span of your roof with a little seasonal maintenance!! One of the benefits of cleaning your roof 4 times a year is that it guarantees that you will be on your roof really examining it for damage and deterioration. It is important to look for cracked and pealed caulking around your roof vents and the side moldings. If you see any sign of this you need to reseal with an EPDM friendly sealant. We use Dicor’s own Lap sealant. This may seem a little strange, but trust us, we see it many times a season…DO NOT PUT DUCK TAPE ON YOUR RUBBER ROOF!! Duct tape tends to be very difficult to remove from a rubber roof without making your tear even longer. Furthermore, the adhesive in duct tape tends to have petroleum distillates, a BIG NO for rubber roofs. Petroleum distillates will actually eat the rubber on your roof, this is why it is so important to use products specifically designed for rubber roofs. If you are unsure if a product is okay please ask us we are always willing to help.